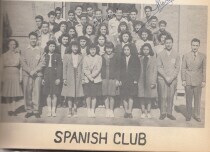 The Spanish Club at Bowie High School 1947. 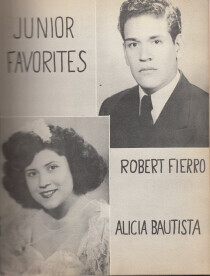 The Pan American Club is just one of many clubs in Bowie High School in 1947. 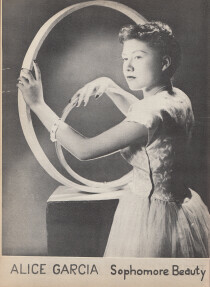 In this photograph is the Bowie High School Band 1947. 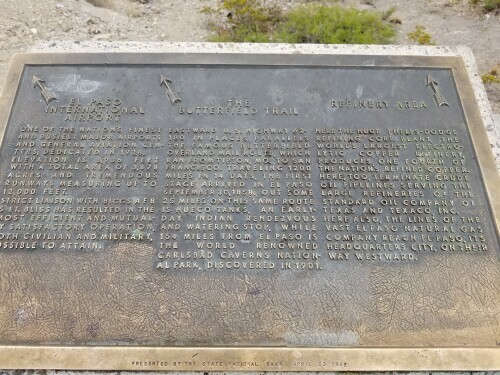 In this photograph is the Bowie High School Drum Corps. 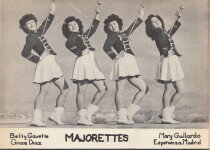 To the left is Betty Gavette and Grace Diaz, to the right is Mary Gallardo and Esperanza Madrid. 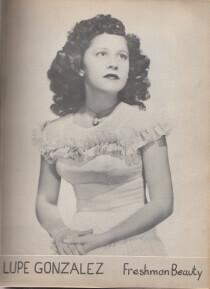 In this photograph is the senior beauty, Raquel Corral from Bowie High School. 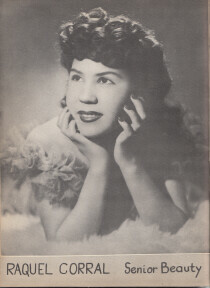 In this photograph is the Junior Beauty, Teresa Gonzalez. In this photograph is the Sophomore Beauty, Alice Garcia. 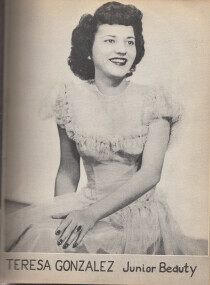 In this photograph is the Freshman beauty, Lupe Gonzalez. 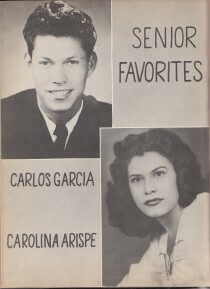 On the top left is Carlos Garcia, and on the bottom right is Carolina Arispe. 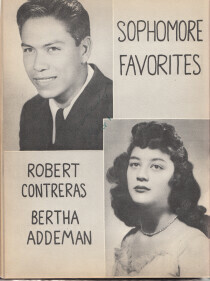 On the top left is Robert Contereras, and on the bottom right is Bertha Addeman. 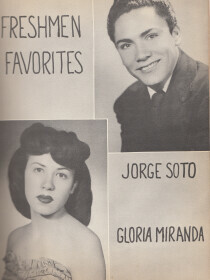 On the top right is Jorge Soto, and on the bottom left is Gloria Miranda. 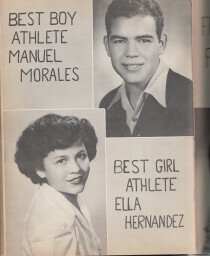 On the top right is Manuel Morales, and on the bottom left is Ella Hernandez.